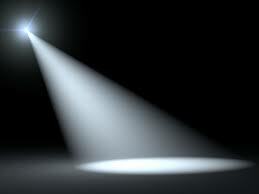 Home / Who’s in the Spotlight? Max Lucado puts it this way: “Do you feel a need for affirmation? Does your self-esteem need attention? You don’t need to drop names or show off. You need only pause at the base of the cross and be reminded of this: The maker of the stars would rather die for you than live without you. And that is a fact. So if you need to brag, brag about that.” Those are good words! May we be people who are humble in our service, confident in our value and determined to focus the spotlight not on ourselves, but on the One who saved us by His magnificent grace.